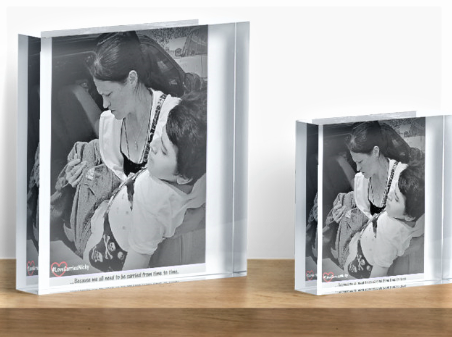 The quest for a mobility van with a lift continues for Jeanine and her son, Nicky. View last year’s post. This is a post about a Philadelphia family. I do like to keep things local, but this is as local as it gets to my heart. And it is yet unresolved. I met Jeanine through Angelman Syndrome community connections a few years back. I found out about her quest for a lift van when she did not win a mobility van contest last year. I had no idea how much the family struggled without one until I read her interview and saw the video on FOX 29. 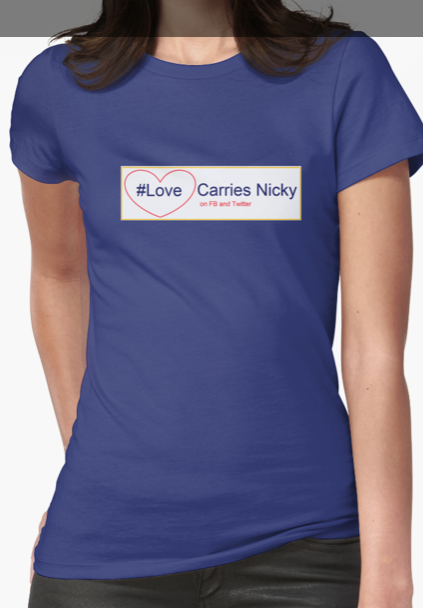 #LoveCarriesNicky Portrait of Jeanine and Nicky on Acrylic Block at REDBUBBLE (marked up for fundraising) Includes the #LoveCarriesNicky logo; Reads: ..Because we all need to be carried form time to time. People are still trying to help. The struggle hasn’t gone away. If you’re able to help by purchasing a fundraising item on REDBUBBLE, click here. All profits go directly to Jeanine, and the campaign will end in 6 months.